Excellence is a hallmark quality that Samsung thrives on with each and every product the company comes up with. Being one of the premier forces in the smartphone industry, Sammy went all out this year with the rollout of its flagship phone, the Samsung Galaxy S6, which to the surprise of many, went towards a completely new direction with the design of its phone. Shedding its prior reputation, the S6 proved to the critics that Samsung has what it takes to be fresh when it comes to phone designs. 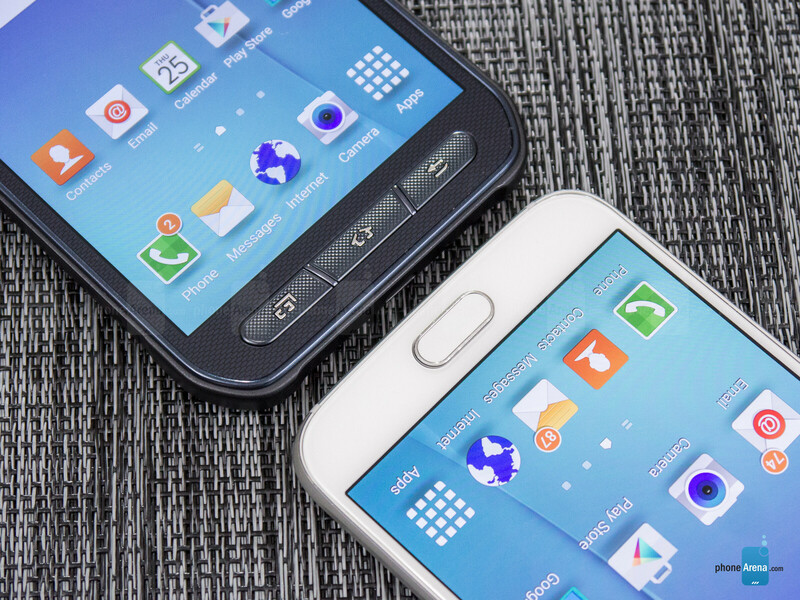 While the premium design of the S6 is beloved, it sheds the water resistance quality of its predecessor – though, it’s something that’s prominently in full face with the recent Samsung Galaxy S6 Active. Although the specs sheet of both phones are similar, the visual designs are drastically different. That, of course, is what makes the decision to pick one even harder. Bearing that in mind, which one should you go with? 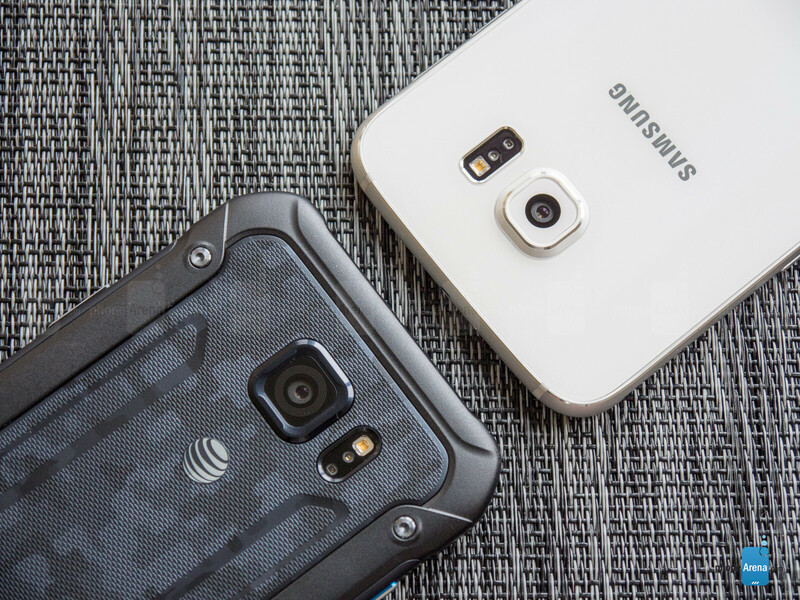 The premium design of the Galaxy S6, or the impenetrable construction of the S6 Active? As we’ve clearly stated, Samsung’s new direction is profoundly evident with the Galaxy S6’s meticulous, premium design. Quite frankly, it simply boils to what appeals to you more. Indeed, the S6 exemplifies everything we want in a high-end phone, so that means a solid body that’s comprised out of metal and glass – made even better by how light bounces magically off its surfaces. One of the issues with having such a premium design, though, is that it’s more fragile and prone to serious damage when it’s dropped. Not surprisingly, that’s not an issue with the Galaxy S6 Active, which might have an eyesore of a design depending on who you talk to, but it’s more function over form. Sporting an IP68 rating, the S6 Active is made to withstand everything that life can dish out – so it’s water resistant, dust proof, and shock resistant. Damage isn’t in the vocabulary of the S6 Active, seeing that its built-like-a-tank construction ensures it’s impenetrable. Even though the two feature IR blasters, built-in wireless charging, and heart rate sensors, the S6 benefits from having higher security and support for mobile payments thanks to its fingerprint sensor – while the S6 Active features physical Android buttons and a higher capacity battery cell. Shattering the previous reputation that AMOLED technology had in the past, as in being overly saturated and subdued in bright conditions, Samsung yet again surprised us by perfecting the AMOLED screen – and these two phones prove that like no other! 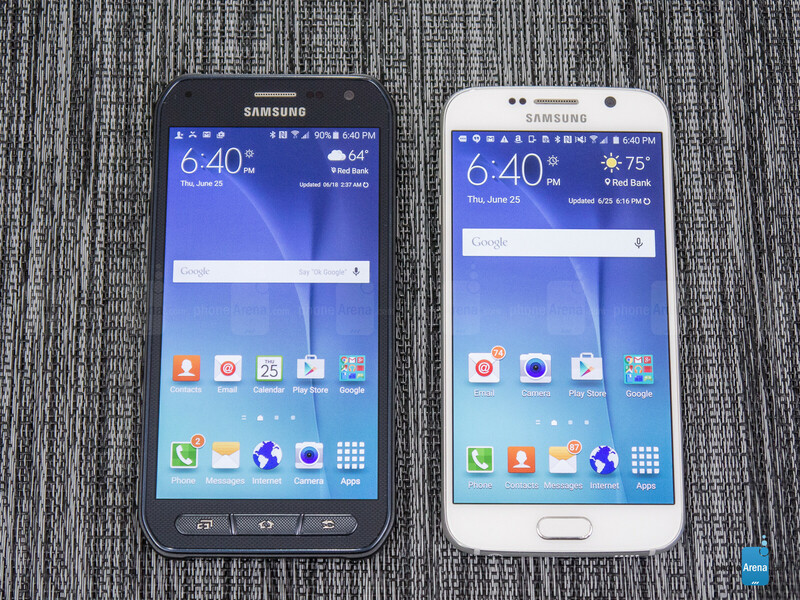 In fact, they’re flaunting the same screen, a 5.1-inch 1440 x 2560 Quad-HD Super AMOLED display. Visually, our eyes are presented with screens rich in detail, potent in brightness, with extremely wide viewing angles, and colors that pop to impress. It’s one thing to base things visually with our eyes, but there are actually differences between the two – albeit, it’s not by much. For example, the S6 and S6 Active’s brightness outputs measure at around 570 nits, making them visible in even the brightest of condition. And it doesn’t end there! Specifically, their color temperatures fall within a very close range to the perfect value of 6500 K. Previously, AMOLEDs have been known to produce unrealistic, over-saturated colors, but these two show that’s no longer the case. In fact, when they’re set to the ‘basic’ display mode, they accurately reproduce colors in the sRGB spectrum color chart. The only thing different here, from what we can see, is some sort of treatment applied to the S6 Active’s screen that repels water better. 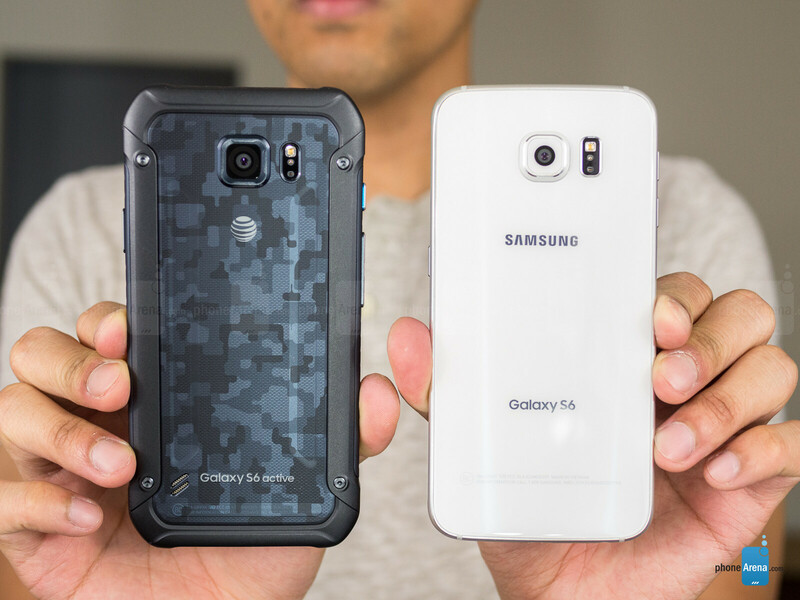 I say both are great phones but if I'd choose one, I wud get the waterproof S6 Active. Not really a fan of the looks of the Active. Waterproof is a nice aspect though not a necessity. No one click this spam. If only regular S6 had that 8,6mm thickness and 3500mAh battery. Damn you Samsung for matching Apple for the sake of vanity only. Not that I mind the looks of Active too much but problem is that it is AT&T exclusive and isn't available in Europe. Substance over style for me. I would take the Active all day.